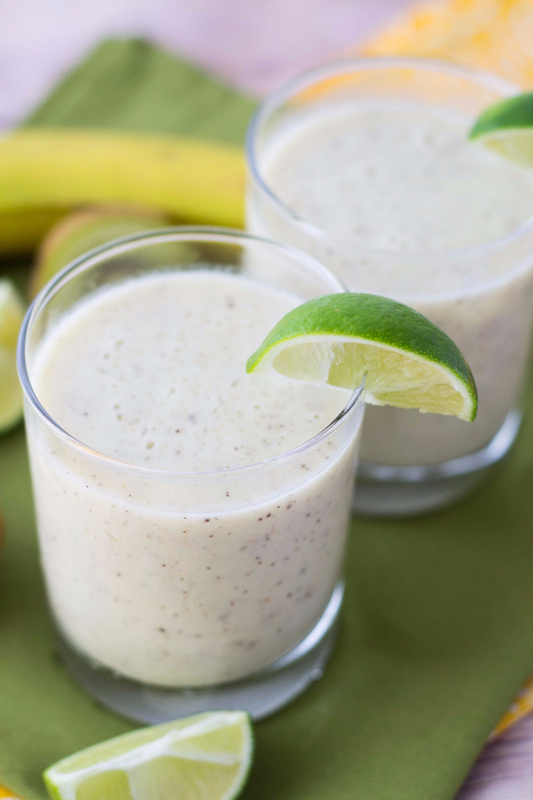 For a tart change of pace, try a Kiwi Lime Banana Smoothie. It’s not so green that it’ll put the kids off, but it’s easy to sneak in a little spinach if you have it on hand without them suspecting a thing! 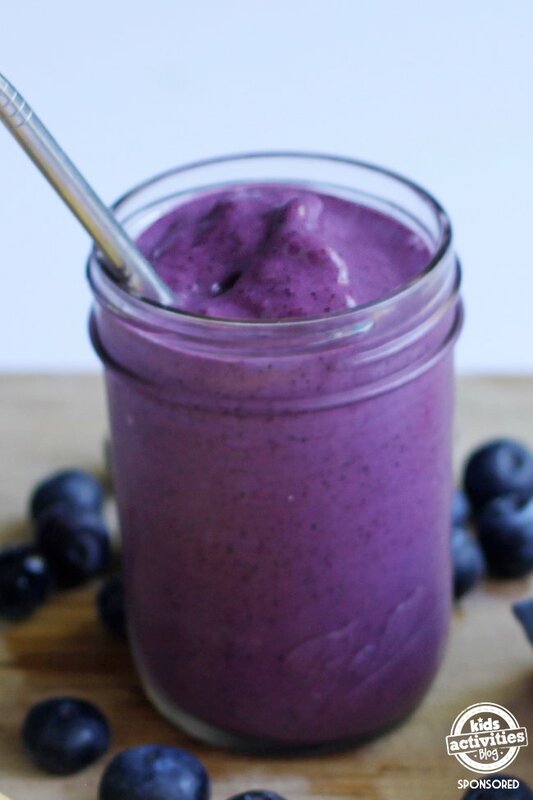 Skip the muffin for breakfast, and opt for this healthy Blueberry Muffin Smoothie instead. It’s full of fruit, yogurt, and oatmeal for a healthy meal or snack. 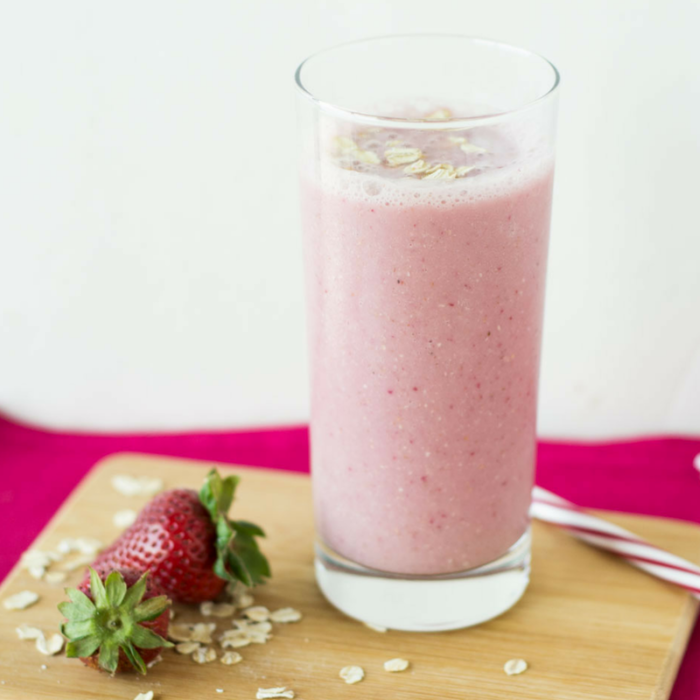 Strawberry Oatmeal Smoothies are the perfect breakfast drink when you and your kids have to rush out the door. Simply double the recipe if you need to make several, pour them in to-go cups, and you’re all set. 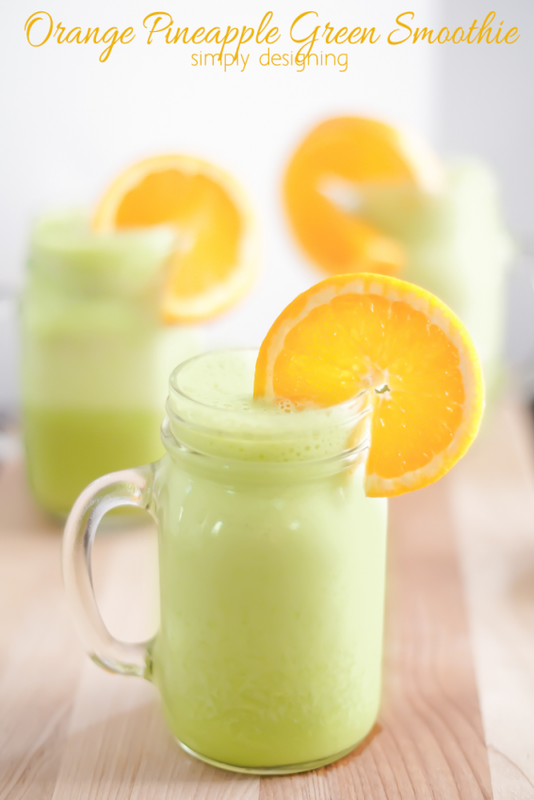 An Orange Pineapple Green Smoothie may have loads of spinach, but your kids will never taste it with the naturally sweet and delicious fruit. 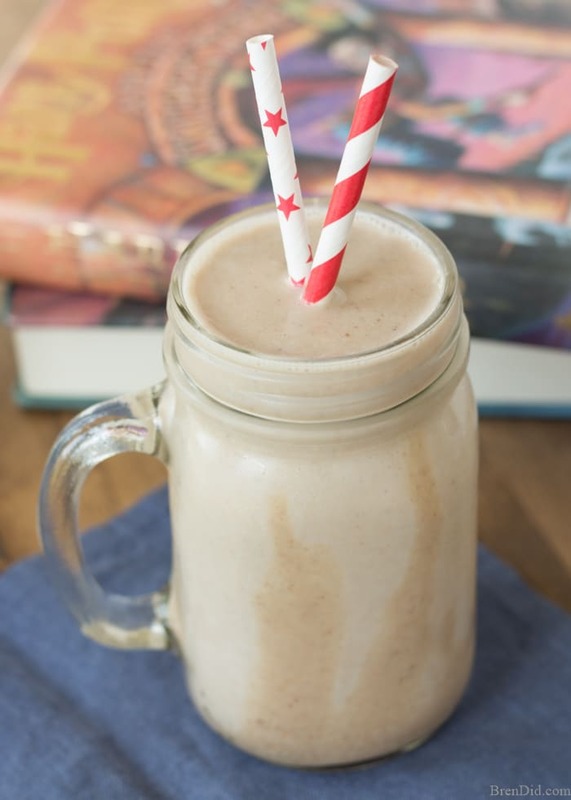 For Harry Potter addicts, you can’t go wrong with a Healthy Butterbeer Smoothie. It’s made with bananas and a vegan caramel sauce that’s smooth, creamy, and delicious! 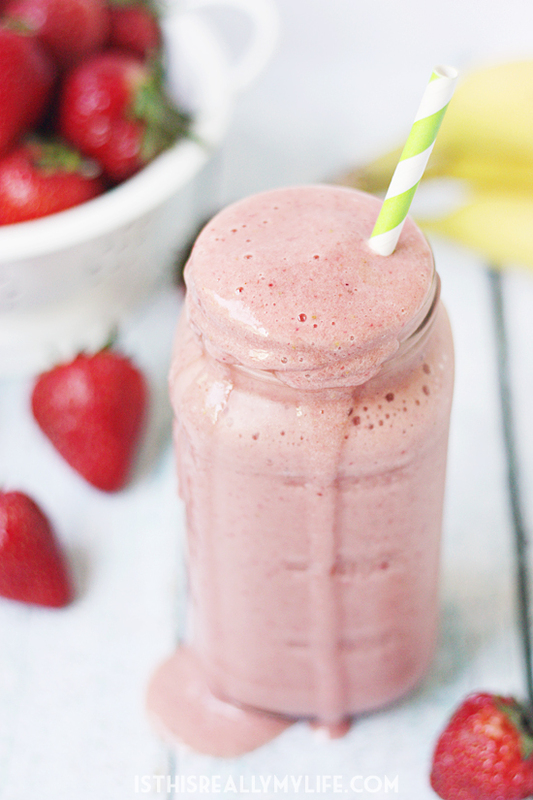 This Lemon Strawberry Smoothie is tart and refreshing, too. 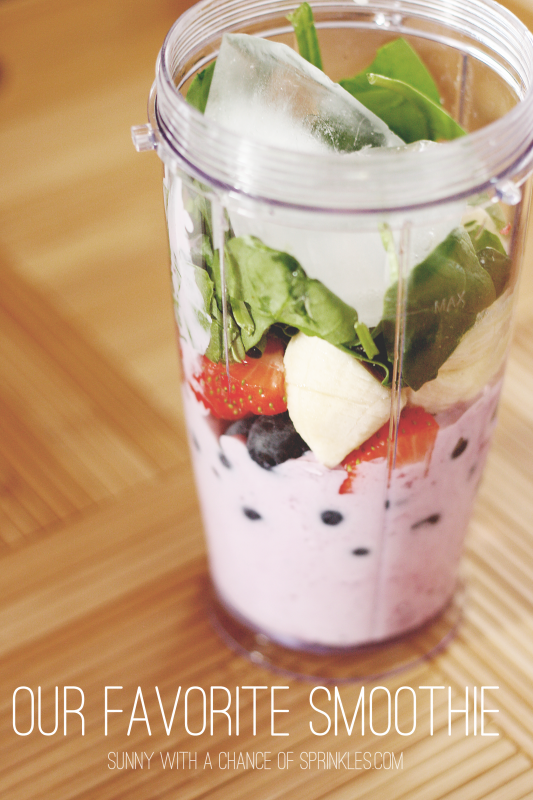 Use frozen fruit to make it like more of a creamy slushie than a smoothie. It’s yummy either way. 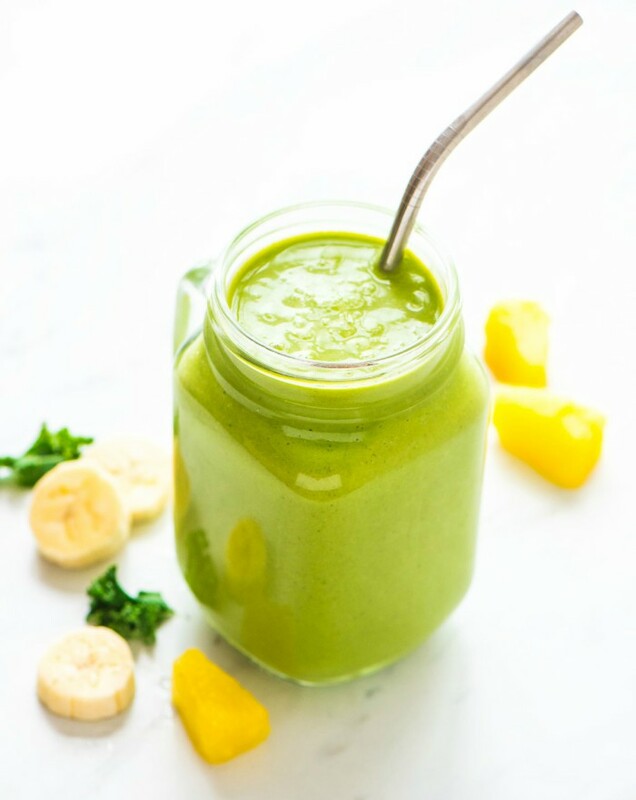 You may think that getting your kids to eat kale is impossible, but let me tell you, anything is possible with this deliciously fruit Kale Pineapple Smoothie. With kale, pineapple, banana, peanut butter, almond milk, yogurt, and honey for sweetness, they won’t even taste the big dose of veggies you’ve added to their drink! 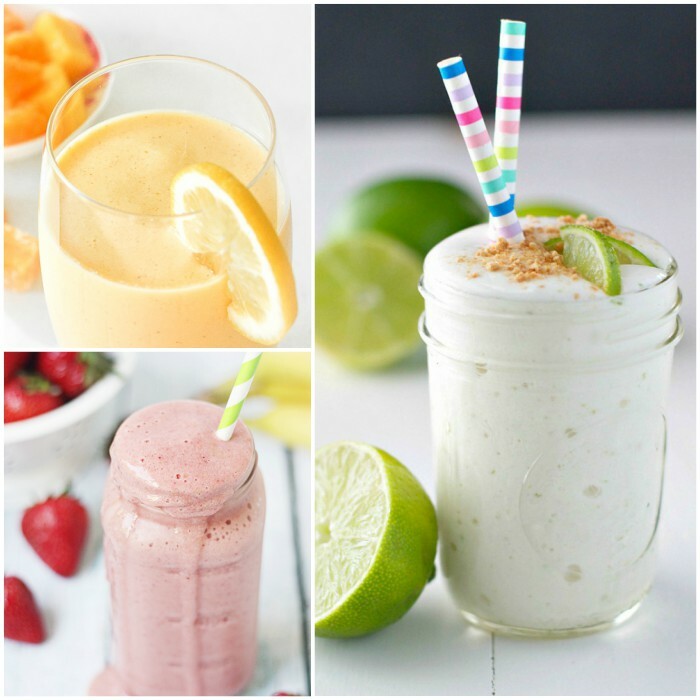 Try this Smoothie for Picky Eaters if your kid isn’t yet keen on drinking their fruits and veggies. One almost exactly like this is what got our son into smoothies! 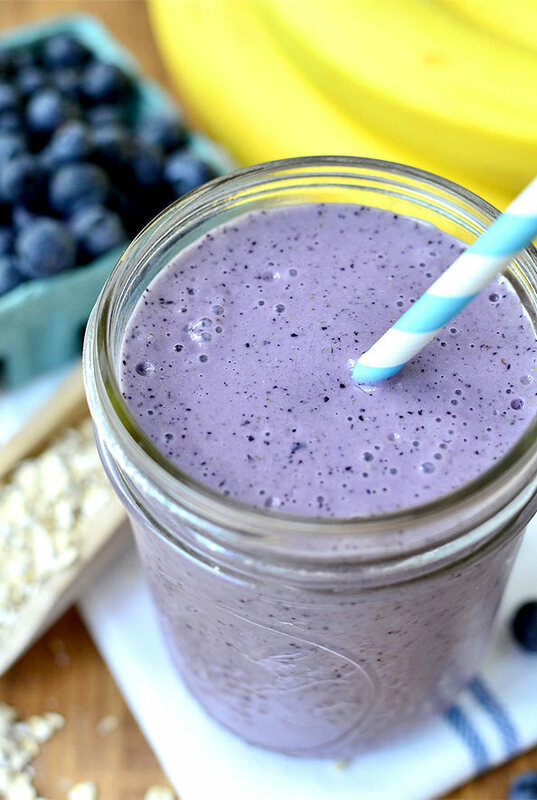 This Blueberry and Spinach Smoothie is called the superfood smoothie for a good reason! Both blueberries and spinach are full of anti-oxidants and good-for-you nutrients that benefit kids and adults. 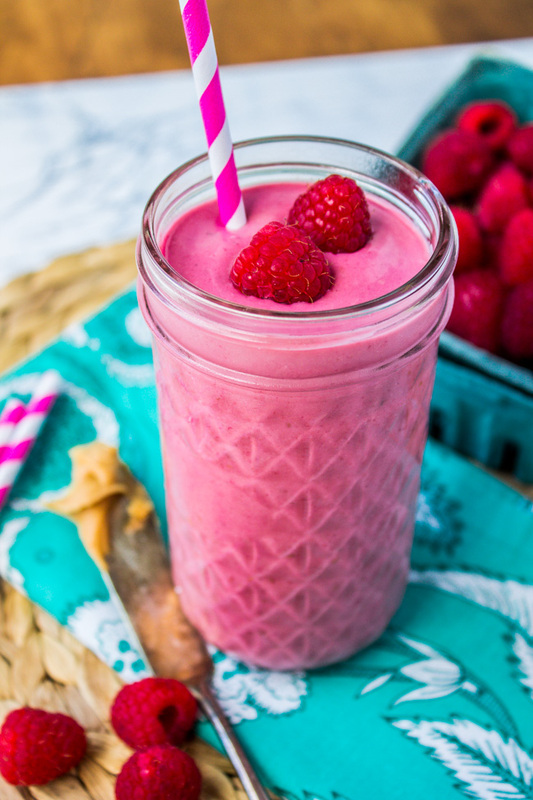 Pretty and purple, this Raspberry Peanut Butter Smoothie is sure to fill kids up on a busy morning. It tastes a little like a peanut butter and jelly sandwich! 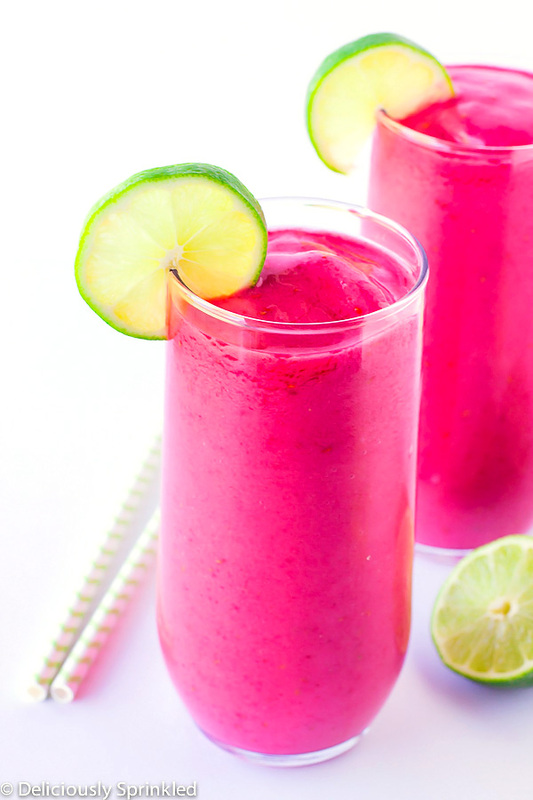 Raspberry Lime Smoothies are perfect for summer. They’re brightly colored and made with raspberries, key lime yogurt and lime juice and limeade. If you prefer to skip the limeade, add some extra lime juice and a bit of honey for sweetness to make it healthier. 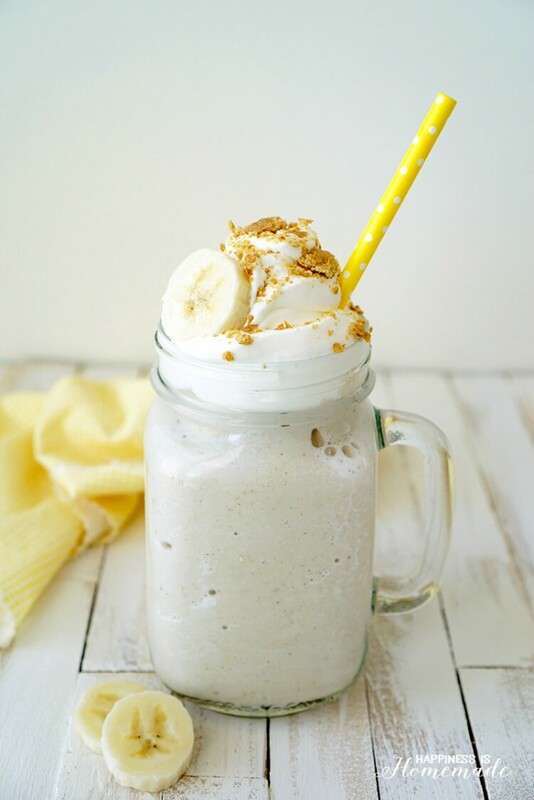 A Peanut Butter Banana Oatmeal Smoothie is a great option for breakfast because it’s packed with protein to keep kids full until the next snack or lunch. 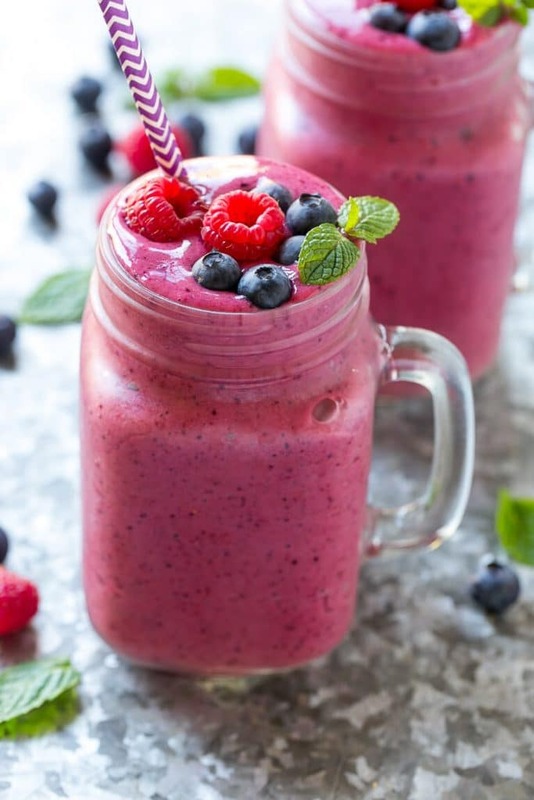 Make a Mixed Berry Smoothie with your favorite berry combinations and healthy Greek yogurt for a bit of protein. Yum! 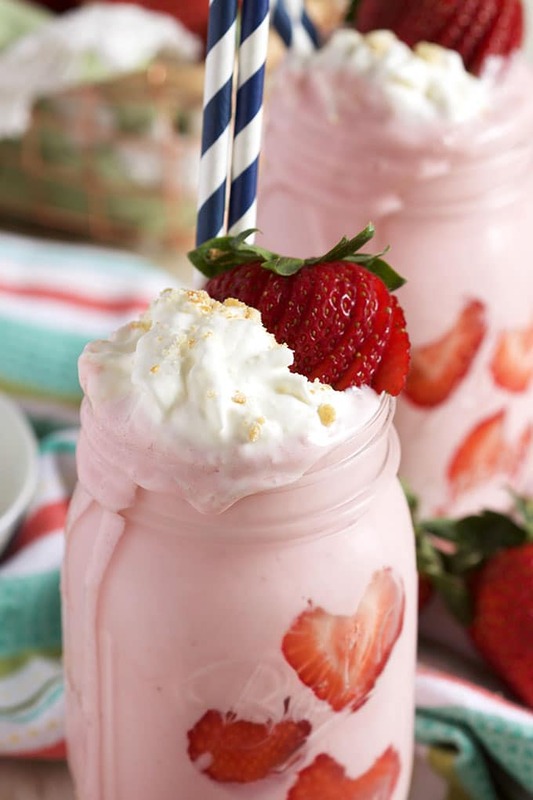 Although it looks decadent, this Strawberry Cheesecake Smoothie is made with low-fat cream cheese, strawberries, yogurt and more for a healthier take. What a wonderful dessert in a glass! 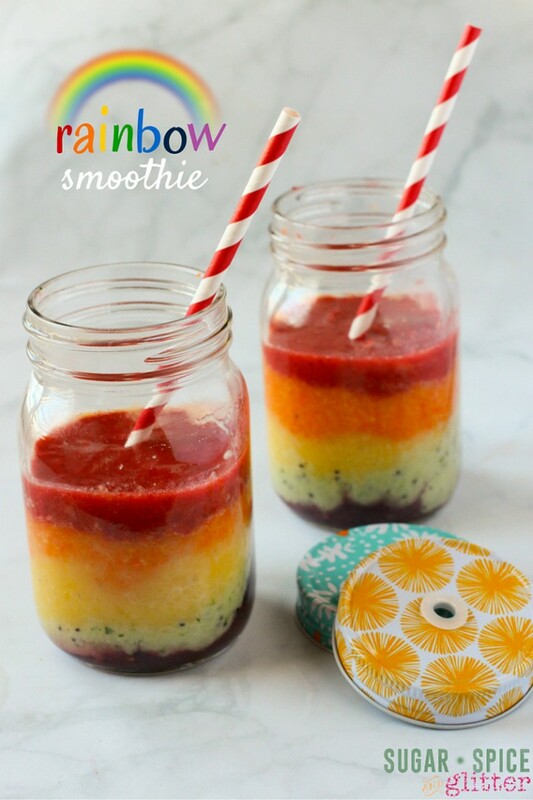 How gorgeous are these layered Rainbow Smoothies made with your kids’ favorite fruits? 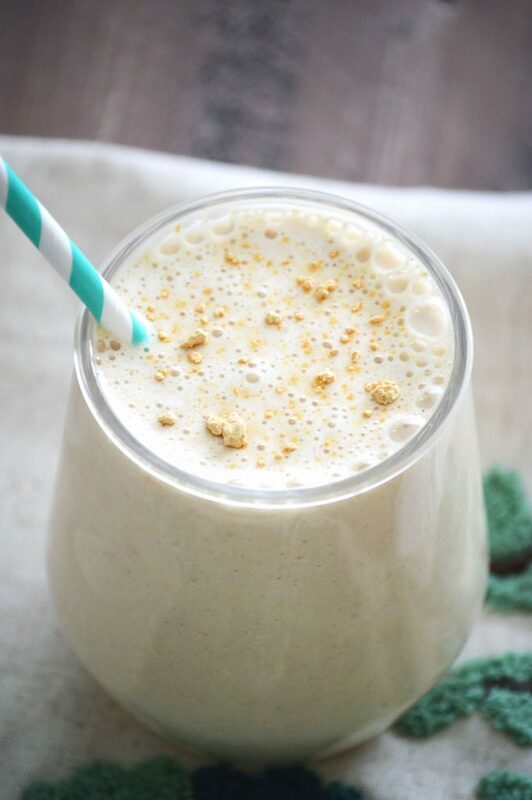 With oats, raisins, cinnamon and vanilla, this Oatmeal Smoothie tastes like an oatmeal cookie in a glass! 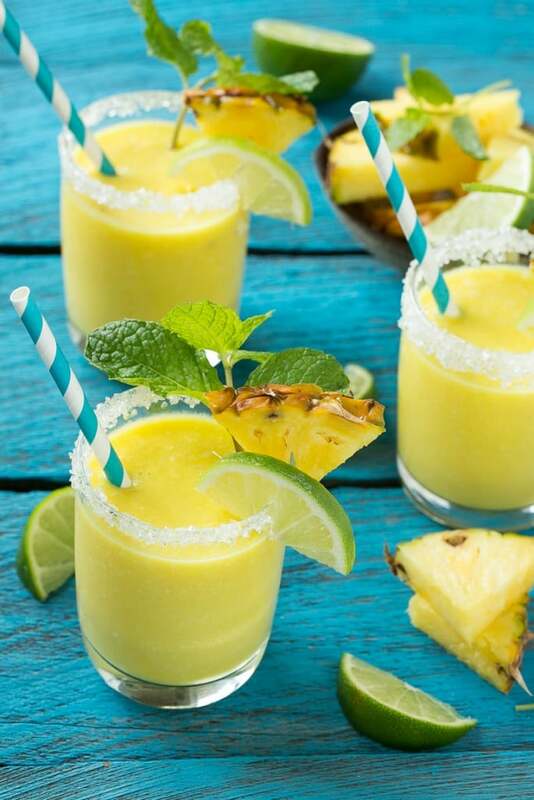 Feel like you’re on a tropical island when you drink this Healthy Pineapple Coconut Smoothie. You can skip the sugar on the rim, of course! 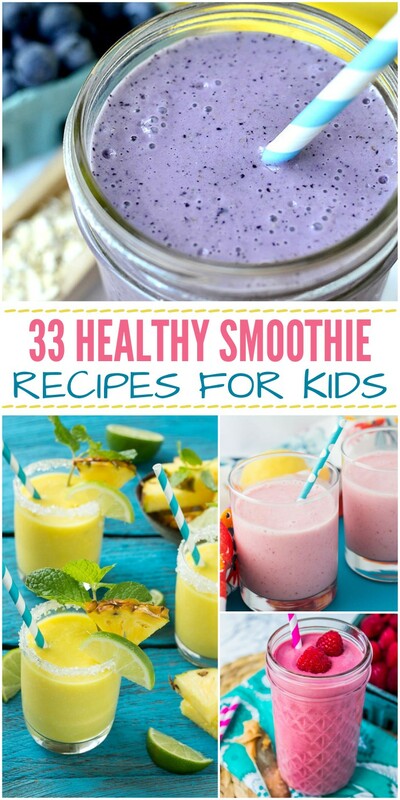 Grab a Banana Blueberry Smoothie when you and the kids are on the go. We almost always have these fruits in the house, so it’s a no-brainer! 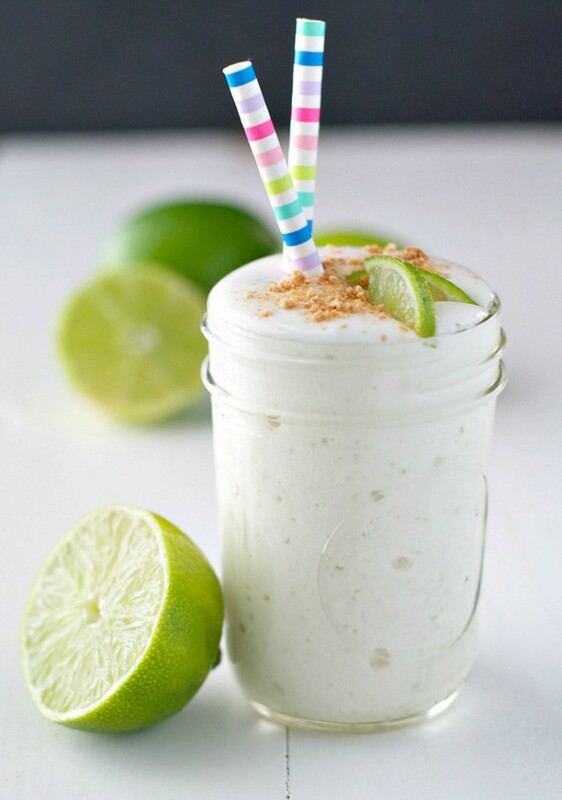 I’m loving this Key Lime Pie Protein Smoothie! 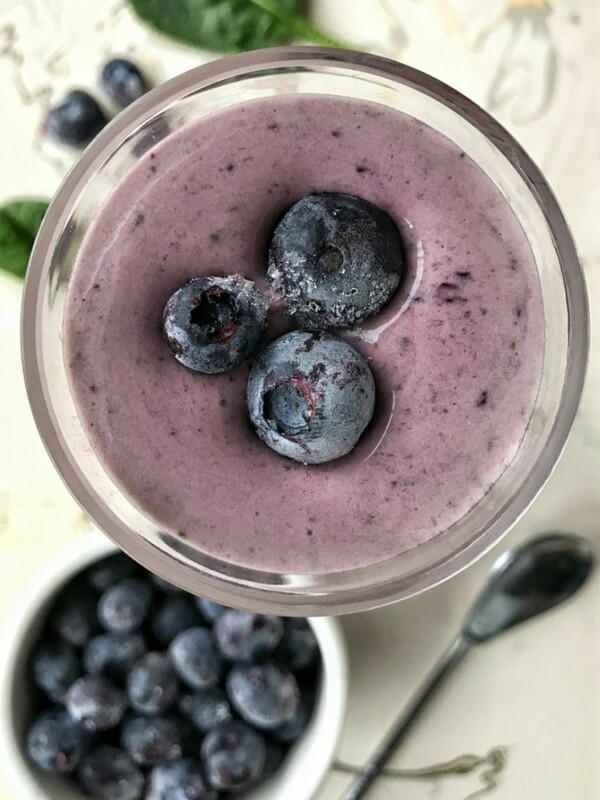 It’s perfect if your kiddo needs to squeeze in a little more protein, but if not, you can always leave the protein powder out and add some vanilla extract and plain Greek yogurt. 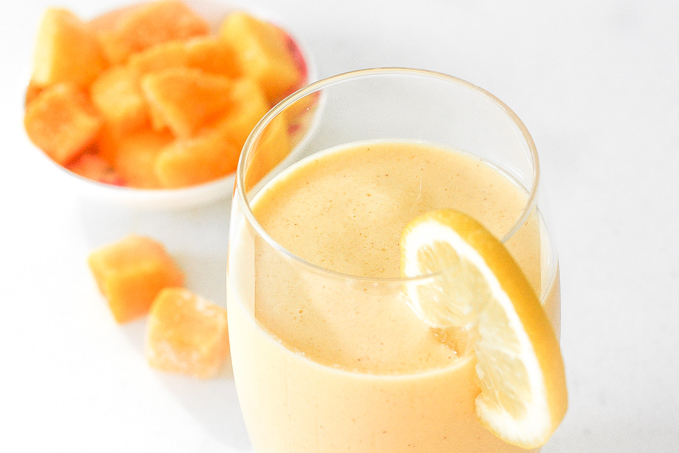 A Mango Yogurt Smoothie is a terrific way to start off a summer morning. The cinnamon and honey add a good bit of sweetness to the fruity drink without being overpowering. 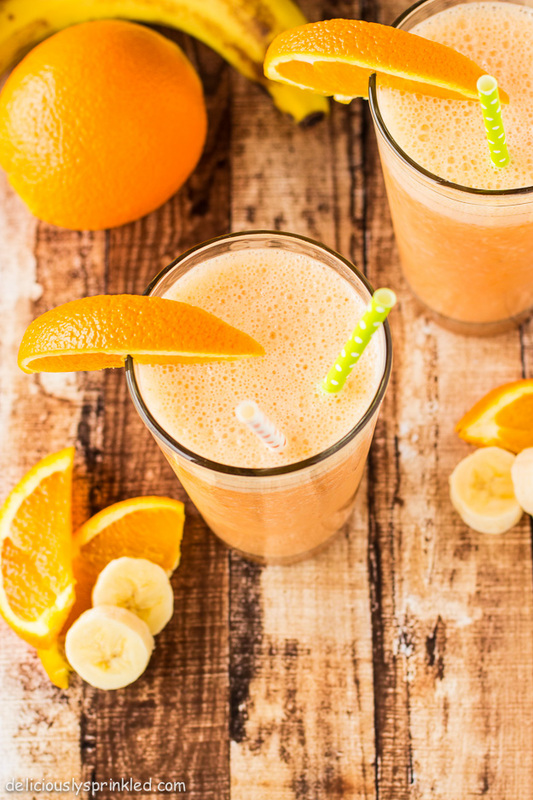 This Orange Banana Smoothie is blended with oranges, bananas, and carrots for a deliciously citrusy flavor to get your morning started off right. 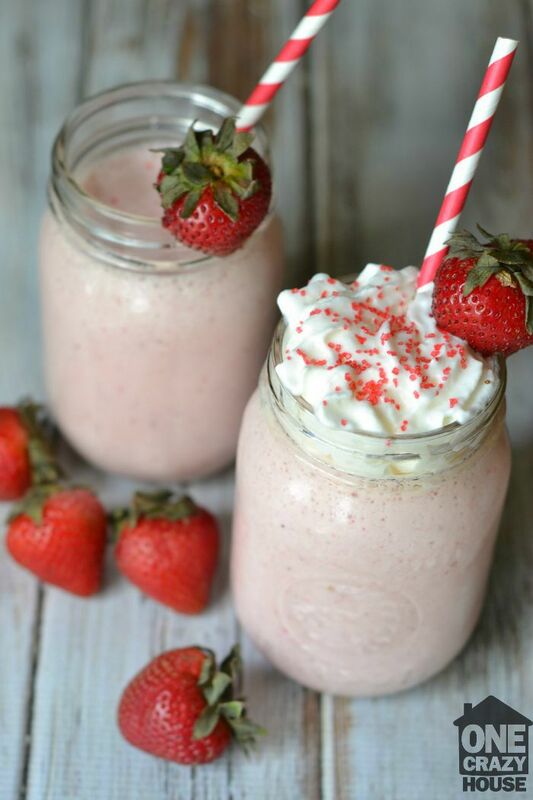 A Healthy Strawberry Orange Protein Smoothie can become a little more kid-friendly by substituting Greek yogurt for the protein powder. It’s still just as yummy! 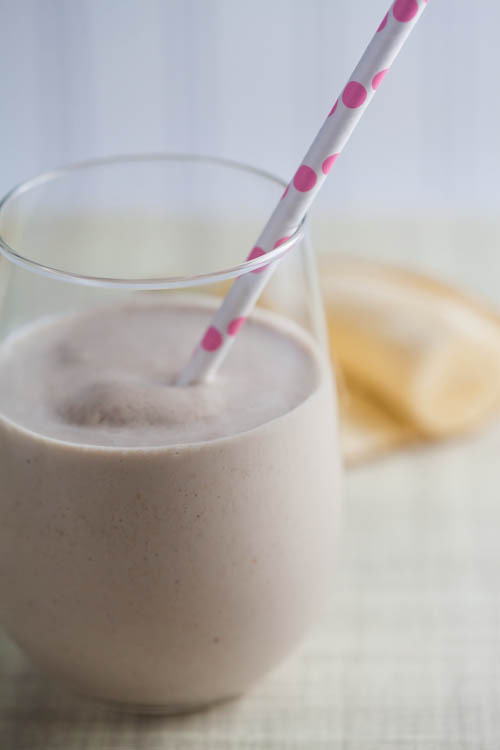 For a healthy smoothie that tastes like a dessert, try this Banana Cream Pie Smoothie. The vanilla wafers do add some sugar to the equation, but it’s part of the banana pie experience. 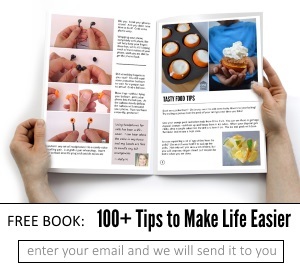 Of course, you could always skip them if you want. 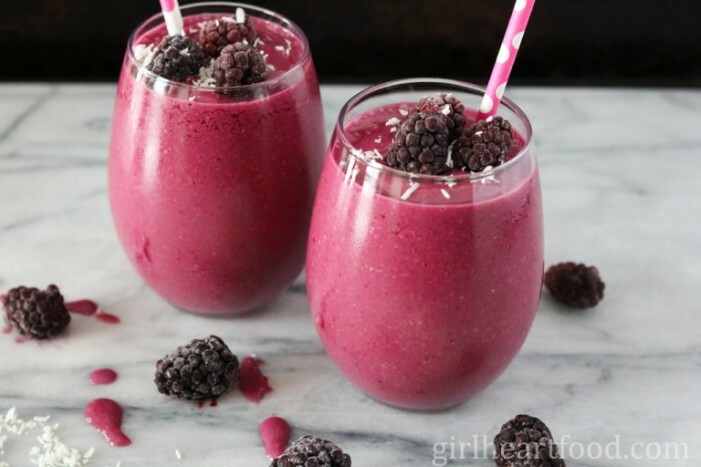 Blackberries are ripe here in July, so I can’t wait to pick some fresh ones to make this Blackberry Coconut Smoothie. Doesn’t that look refreshing? 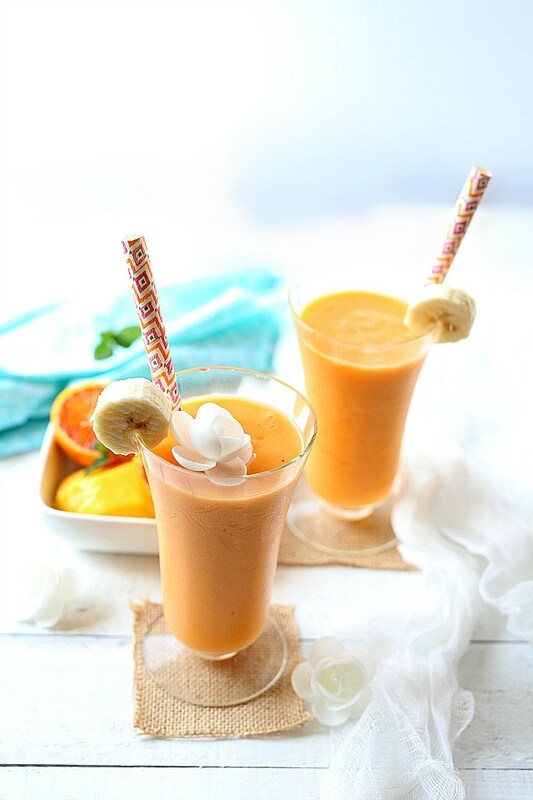 This Pineapple Mango Smoothie is sugar-free and ideally suited to the sunny weather. In fact, doesn’t it look like a big glass of sunshine? 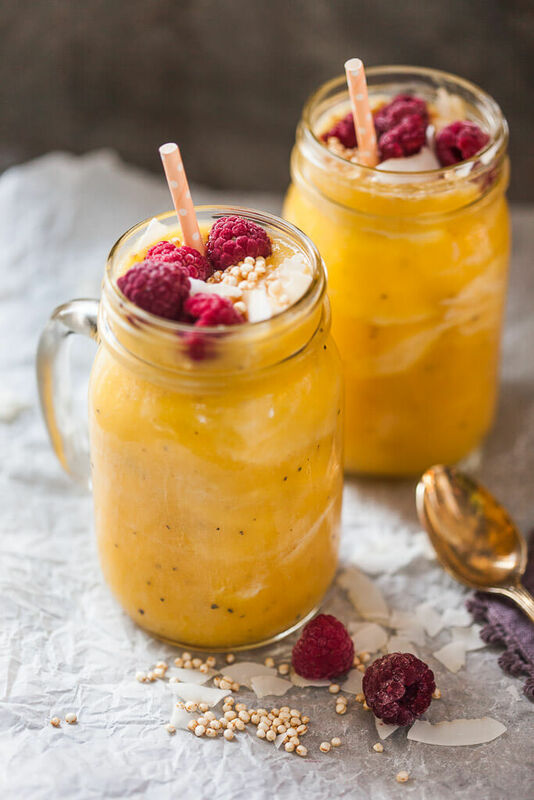 Enjoy a Raspberry Mango Sunrise Smoothie first thing in the morning. 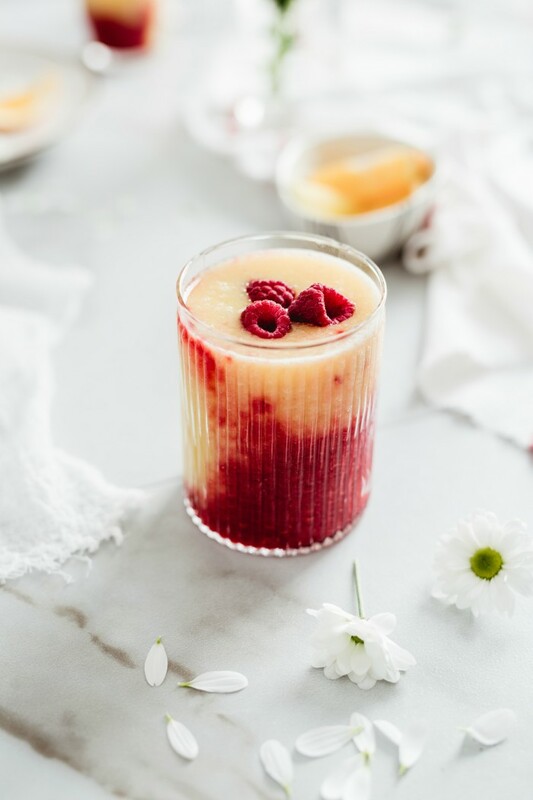 The tart raspberries swirl with the sweet mango for a yummy morning pick-me-up. 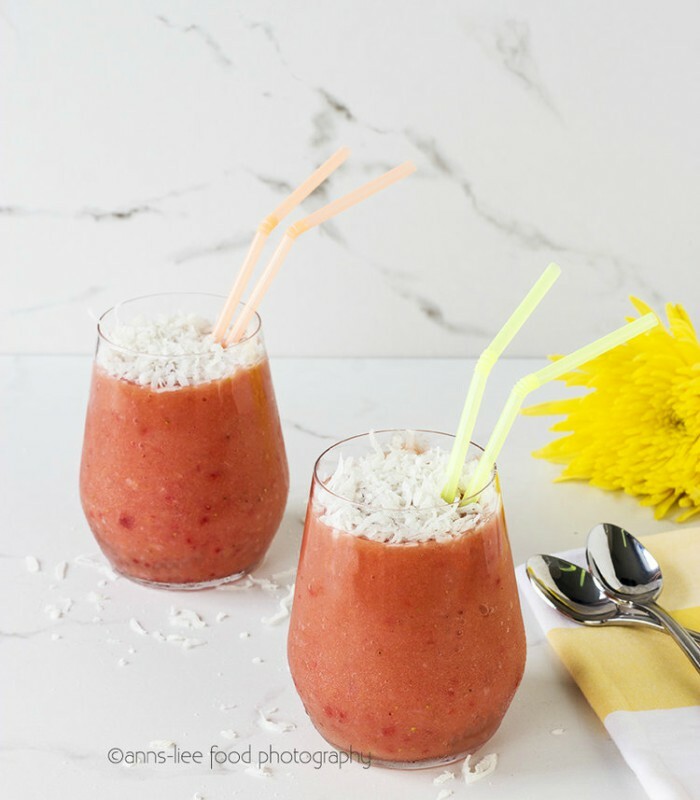 Feel like you’re relaxing on a sandy white beach with this Tropical Bliss Smoothie made with blood oranges, carrots, bananas, mangoes and more. You and the kids can enjoy them poolside! 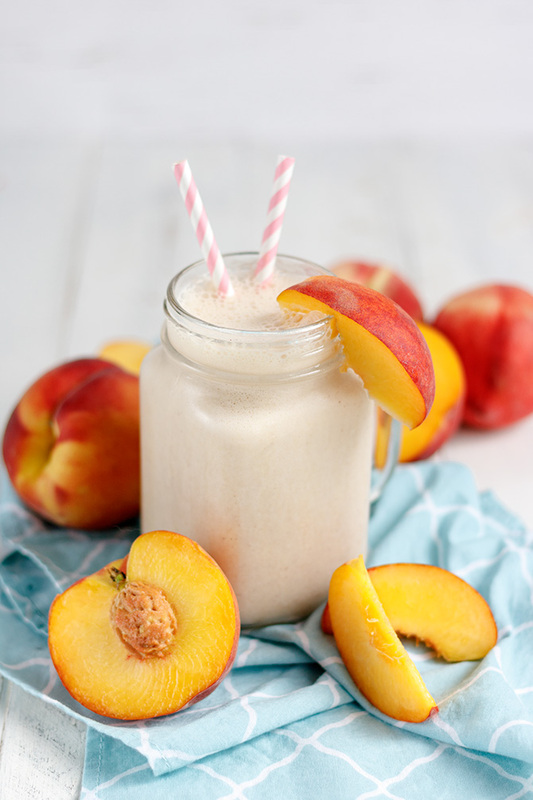 Sub Greek yogurt for the protein powder in this Peach Cobbler Protein Shake, and you’ve got something the kids will ask for again and again! 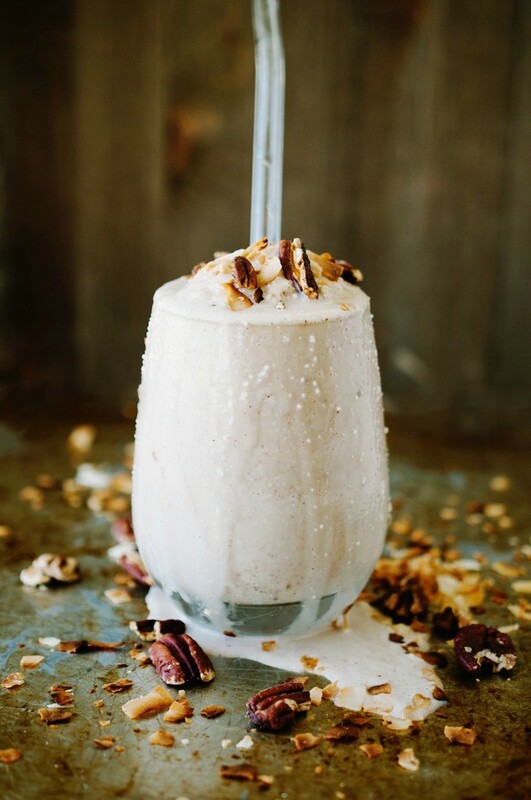 I love adding nuts to smoothies, so this recipe for a Toasted Pecan and Coconut Smoothie speaks to me. I think kids will like it, too… the creamy drink with the crunch of the pecans all in one drink. Not sure what to do with some leftover papaya? I know it’s a fruit that I cook with occasionally but rarely purchase just for eating. Next time I’ll try this tasty Papaya Strawberry Smoothie to use it all up. 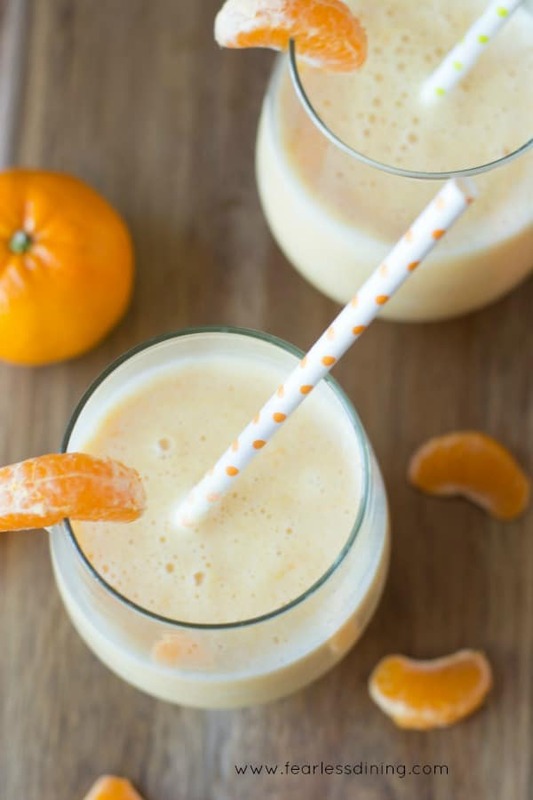 Both my son and I love creamsicles (you can try our homemade creamsicles if you’re looking for a popsicle), but this Vegan Creamsicle Smoothie is very nice, too! 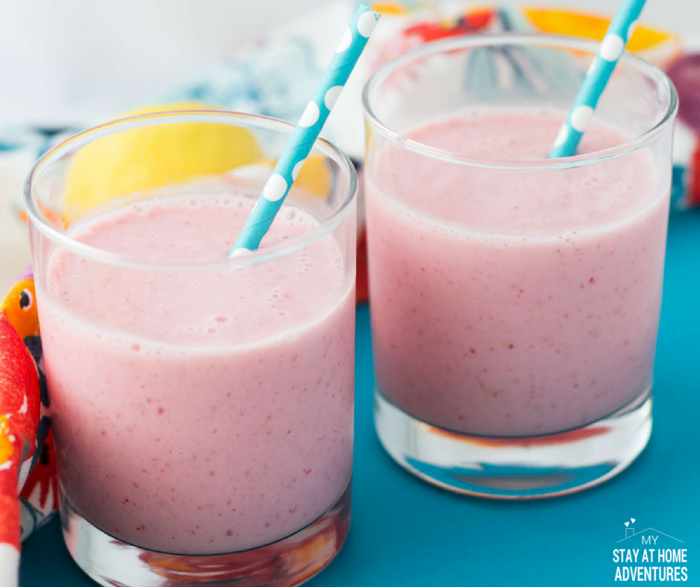 You can skip the whipped cream and sprinkles if you like, but there’s no doubt that this Strawberry and Banana Smoothie is a healthy snack option for the kids. And finally, you can’t finish off a list of smoothies without some watermelon. 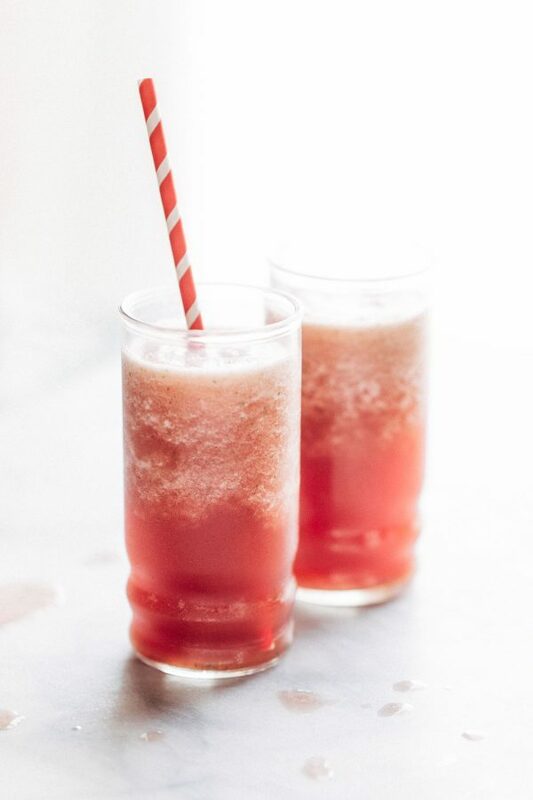 This is the World’s Best Watermelon Smoothie (with just three ingredients), after all!